Andrew serves as legal counsel and trusted partner to family businesses and other privately held businesses, entrepreneurial individuals and investors in the manufacturing, retail, professional, franchise, transportation, food service, construction, technology and real estate industries. He provides a wide range of corporate, real estate, tax and regulatory services to clients. Andrew counsels principals, directors, officers and executives on such issues as entity selection and restructuring; mergers and acquisitions; strategic alliances and joint ventures; licensing, distribution and strategic agreements; executive employment, compensation and benefits arrangements; partnership issues; business separations and exit strategies; complex issues of corporate governance; and business succession planning, including management buy-outs. Andrew spends a significant amount of his time counseling family businesses on those issues that are unique to family owned businesses. 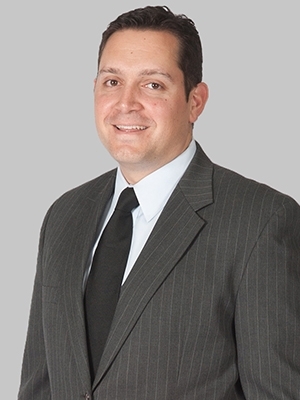 Andrew also represents middle market institutional and private lenders, borrowers and guarantors in secured and unsecured lending transactions and regularly negotiates financing terms, conducts lender due diligence, prepares loan documents, modifies and amends existing credit facilities, in connection with those loan transactions. Representative transactions include term and revolving credit facilities secured by real estate assets and non-real estate assets in Pennsylvania and other jurisdictions used to finance the acquisition of owner-occupied and investment real estate, equipment financing and working capital lines of credit. Andrew also regularly renders legal opinions to lending institutions and their counsel on behalf of borrowers and guarantors in large syndicated credit facilities. Andrew also counsels buyers, sellers, landlords, tenants, agents and brokers in connection with the formation and internal governance of real estate companies, acquisition and sale agreements and commercial leases and license agreements. Andrew counsels emerging growth companies, investors and others on various debt and equity financing matters, such as raising capital, private equity and venture capital and restructuring existing debt and equity arrangements. Additionally, he provides assistance with federal, state and local tax issues and franchising and related licensing transactions, as well as federal and state regulatory and licensing issues affecting the transportation industry, licensed professionals (architects, funeral directors, real estate brokers and agents, etc.) and regularly represents clients in matters before the PA Liquor Control Board and other state regulatory agencies. Andrew serves as managing partner of Fox's office in Blue Bell, Pennsylvania.